Our product range includes a wide range of copper clad laminate, xpc copper clad laminate, flexible copper clad laminate, glass epoxy copper clad laminate, ptfe copper clad laminate and copper clad panel laminate. We are counted among the trusted manufacturer of finest quality Copper Clad Laminate at reasonable market price. Offered clad laminates undergo several stages of quality checks on different parameters to ensure best quality. These laminates are manufactured under the supervision of expert professionals using quality grade raw materials. 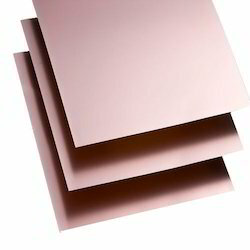 We are among the trusted manufacturers and traders of high quality XPC Copper Clad Laminate. These panels are manufactured under the supervision of qualified professionals using best quality raw materials that are obtained from well known vendors. Offered panels are easy to install and acknowledged for their perfect finish and elegant design. 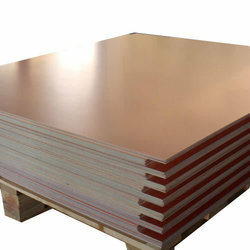 Our company manufactures high quality Copper Clad Laminate. To manufacture best quality laminates our professional use good quality raw material, latest technology and advanced machinery in the manufacturing process. Appreciated for their seamless finish, attractive color and eye-catching design, offered laminates are exclusively demanded around the globe. Our organization is instrumental in the manufacturing & trading of premium quality Flexible Copper Clad Laminate. Manufactured in accordance with industry set parameters under strict supervision, these laminates are highly demanded among the clients. Offered clad laminates are acknowledged for their dimensional accuracy, elegant design and light weight construction. 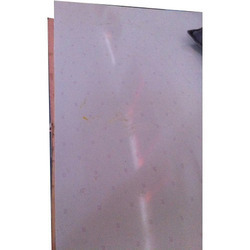 We are among the prestigious companies that are engaged in offering premium quality Glass Epoxy Copper Clad Laminate at affordable market prices. Offered clad laminates are precisely manufactured under strict supervision using advanced technology and modern machinery. Appreciated for their hassle-free installation, accurate dimension and high durability, these laminates are highly demanded around the globe. Our enterprise is regarded among the prestigious manufacturers and traders of high quality PTFE Copper Clad Laminate. Our professionals incorporate quality assured raw materials and latest designs in the manufacturing of these laminates. Owing to their seamless finish, hassle-free installation and high durability, these laminates are exclusively demanded around the globe. Our organization is listed among the trusted manufacturers and traders of premium quality Copper Clad Panel Laminate. Offered laminates are precisely manufactured under the supervision of expert professionals using latest designs. Available in multiple eye-catching colors, these laminates are demanded for their glossy finish and high durability. 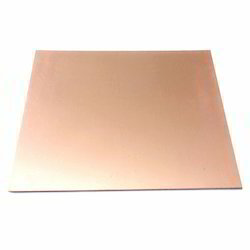 We are engaged in the manufacturing and trading of best quality Copper Clad Laminate. Obtained from well known vendors, quality tested raw materials are used in the manufacturing process. The laminates, we offer are appreciated around the globe for their unmatched quality, fine finish and elegant design. Owing to our rich industry experience, we have been able to offer optimum quality Aluminum Copper Clad Laminate. These laminates are manufactured under the supervision of qualified professionals in accordance with industry set parameters. Offered laminates are demanded around the globe for their unmatched quality, perfect finishing and exclusive design. 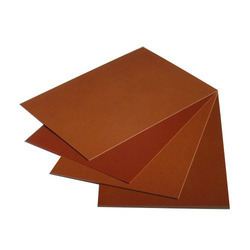 We offer the wide range of Paper Phenolic Copper Clad Laminates. 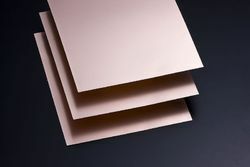 We are a trustworthy organisation in offering a wide gamut of Copper Clad Laminate. 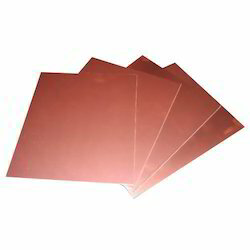 We offer a wide range of Double Side Copper Clad Laminate which offer high resistance from electricity and heat. We are a trustworthy organisation in offering a wide gamut of CEM1 Copper Clad Laminate. 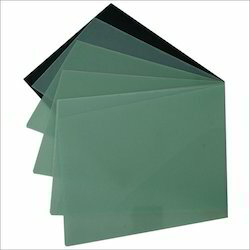 CEM1 ( Glass Paper Epoxy Composites) is suitable both for punching and drilling. Mainly intended to be used in plating through hole interconnection process, it is very low Z- axis thermal expansion coefficient, and shows outstanding thermal conductivity. 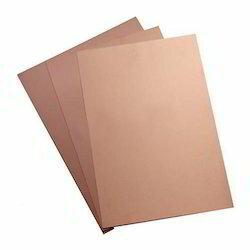 We deal in CEM 3 Copper Clad Laminate for scraps or off cut as well as for sheets. 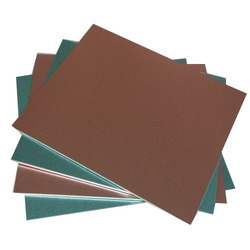 We offer a wide range of XPC Paper Phenolic Copper Clad Laminates. Our organization is instrumental in the manufacturing and trading of best quality Aluminium Copper Clad Laminates. Our professionals imports these products in accordance with industry laid parameters using high quality aluminum and latest technology. These products undergo several quality checks by the quality controllers, before their final dispatch. 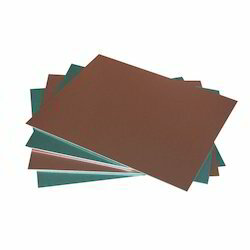 We are a trustworthy organisation in offering a wide gamut of Paper Epoxy Copper Clad Laminate. CEM 2 ( Paper Epoxy Copper Clad Laminate) can be processed by both punching and drilling and especially suitable for STH ( Silver Through Hole ). Its excellent thermal resistance, makes it especially suitable for lead free processes, carbon ink printing, hot air levelling and Ni/ Au finishes. 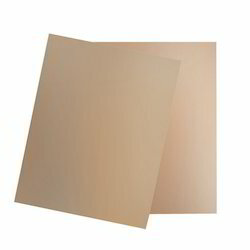 We are a trustworthy organisation in offering a wide gamut of Copper Clad Laminates. We are a trustworthy organisation in offering a wide gamut of CEM 1 Pepper Epoxy Copper Clad Laminates. CEM 1 Pepper Epoxy Copper Clad Laminates having good heat resistance and moisture resistance, good mechanical properties and electrical properties. These are available in both double side and single side. These materials are used in many things like pcb boards (printed circuit board).